Insta-Moment: Colour your world is the theme for MAD2 2014 and that is exactly what MAD2 wants to achieve. For too long we had to look at the person next to us and say we are or look the same. With the 2014 theme we can celebrate and acknowledge that we are diverse and unique and we can be proud of this diversity. But the theme is even broader than that. Students and spectators are encouraged to make every moment a photo-moment. We are surrounded with the beauty of nature, diverse people, great opportunities, and we sometimes forget to just stop for a moment and take it all in. The only requirement of the theme is: to take every opportunity and make it a beautiful memory. MAD2 2014 would like to send out a new image of what the body is and does. The main purpose is to raise funds for the One Stop Service, a body established and maintained by Matie Community Service (MCS). This service then uses 60% of this profit to support student-driven projects and 40% to cover general administrative expenditures of MCS. While raising funds for MCS, MAD2 also uses the opportunity to introduce first-year students to University and to give them the opportunity to dream big, get involved and kick their University career off on a high note. It is therefore very important that the MAD2 activities have a meaning and portrays an important message. This is the big kick off of the programme and takes place just before the first-year students and their parents are welcomed by the Rector. At this event, each first-year student will receive a balloon on which they can write their dreams. All the different houses will then gather at the Coetzenburg Field where about 5000 balloons will be released into the air. The balloons are made from a special latex material that is 100% organic and bio-degradable. MAD2 attach great importance to the way in which a student’s University career start. In a sense it creates the foundation for the way you go through your time on campus. For many first-year students the gap between school and university is very big and can be overwhelming and intimidating and therefore a strong and meaningful starting point is very important for MAD². The purpose of the event is to communicate a message of being able to do what you dream and that the sky is the limit. It also gives first year students the opportunity to really think about their dreams and set goals for themselves. 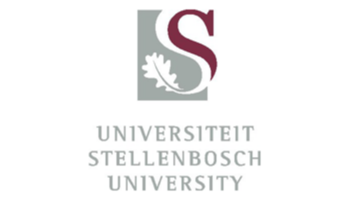 Apart from personal enrichment, the community will also be able to see that Stellenbosch University students are back for another year. The colours of the balloons will be in the Matie colours (maroon, gold and silver). This event gives the different houses on campus the opportunity to bou gees – get pride for their house. The format of this event will be different from Bondelsport in the past. To ensure a more intimate event with your house, houses will be divided into groups and these groups will rotate between three events: Bondelsport, Societies Fair and Pool Party. We invite all first-year students to join in the fun! Be sure to visit the Danie Craven sport grounds at Coetzenburg between 14:00 and 20:00 to support your house and participate in a variety of fun sport activities. Matie Community Service is the main beneficiary of MAD² and receives all the funds raised by MAD². Each house use this morning to introduce their annual community project to their first-years and seniors. By taking part in this morning the first year students already get involved in the community and their house. Vensters are one of the most colourful evenings you will ever experience on the Stellenbosch campus and attracts more and more spectators each year. Different house pairs face the challenge of entertaining and impressing spectators and judges with interesting story lines and dance moves – all within 10 minutes! The productions are repeated all night so that the public can have the privilege to see the performances of all the house pairs. The shows run from 18:00 to 23:00 and you can buy a very reasonable entrance band at a donation of R20 a week before Vensters in the Neelsie or on the night of Vensters at the different production venues. Your wristband is your ticket for all 21 productions! After a busy week, on Saturday 1 February it is time to start downsizing and get ready for class that starts on 3 February. MAD² therefore wants to give first years a less-active, but meaningful conclusion to the week’s events. First-year students are invited to attend a mass skakeling in Victoria Street between 14:00 and 16:00. On this occasion the students get the opportunity to make new friends and to share experiences and memories with each other. This, however, is not just a boring skakeling, but also a colour festival! Each house will receive different colour powder paint (environmentally friendly of course) and then come together in Victoria Street where everyone can socialise. The powder is then thrown during the course of the event to portray a symbol of diversity. By the end of the day, the first years will be full of different colours that depict that no matter who you are or what your personality is like, here’s a place for you at Stellenbosch University. Regardless of how much or what paint colour you’ve got on you, it’s all good, you’re here because you have to be here and that you fit in here. It will also portray the University’s message of diversity in a visual way and promote it. The purpose of the event is to reassure the first years that they fit into this mass of people and to give them a visual sketch showing that they are one, but still 5000. Everyone over the age of 18 are welcome at our annual community festival where big names of the music industry will entertain spectators for the whole day. We kick off the day with a fun walk/-run to get the energy levels high. More information will be announced closer to the time. Boekhoek is a second-hand bookshop with a difference. Here you can get rid of your old textbooks while other students can buy it at reasonable prices. Books that do not sell or aren’t claimed within the designated time, will be donated to various prisons in the Western Cape. The Boekhoek is open weekdays from 3 February to 3 March between 12:00 and 14:00 on the third floor of the Neelsie (next to the SRc Boardroom). Be a Hero and donate blood! Hurry to the Big Bleed stand! By earning valuable SMOEG points your Residence/PSO could be elected as the 2014 MAD² winner. The Big Bleed Dracula’s await you from 3-7 February in the Khaya at the Kruiskerk on the corner of Victoria and Ryneveld Street. Choose to make a difference and save a life from 09:00 to 15:30 by donating blood. A caring SMS line is open to anyone in South Africa. All it involves is at R2 an SMS by sending a SMS to 34877. The word “MAD” and your residence / PSO’s name should appear in this text. The funds go directly to MCS. If you do not want to support a specific residence/PSO just sent “mad” to this line.